The wait is finally over, the 2017 Isle of Man TT gets underway tomorrow night with the Newcomers and Supersport class heading out for their first practice laps of the 37.73 mile mountain course. 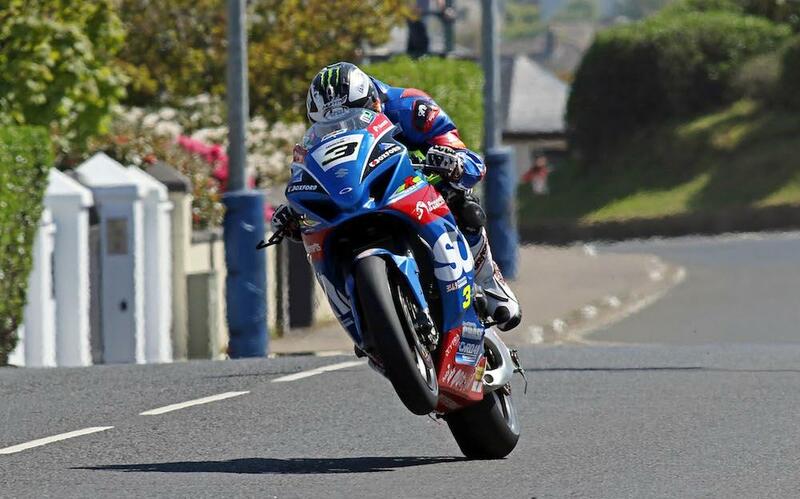 After the record-busting TT of 2016, the build-up to this year’s event couldn’t have been more tense with Michael Dunlop and Ian Hutchinson looking set to go head to head once again throughout the week. However, it’s unlikely to be a tale of just two riders. A fit Bruce Anstey will compete once again on the exotic RC213V-S MotoGP replica, and after lapping in excess of 130mph last year, what can he do without having to deal with being battered from two heavy crashes? Guy Martin returns to the mountain for the first time since 2015, and with the Honda Racing squad hopeful to have made a step forward after their recent test at Castle Combe, could he finally return to the sharp end after a difficult pre-season? Dean Harrison enjoyed a strong week last year with three podiums, he’ll be looking to better that this year while his close mate Lee Johnston will also be hoping for a strong week after suffering with injury in 2016. However, the Northern Irishman has left the Jackson Racing team to ride his own BMW machinery in the Superbike and Superstock classes and a Padgetts 600 in the Supersport. The booming V4 Norton of Dave Johnson will set off from number one in the big bike class, Johnson almost clocked a 131mph lap on the Norton last year and looked set to go better until he binned it in the Senior TT. His team-mate, TT returnee Josh Brookes also has high expectations as he heads back to the Snaefell course for the first time since 2014. However, notably absent from this year’s event will be TT legend John McGuinness, who misses the event this year for the first time since he made his debut in 1996. Here’s how things shape up at present, but of course with weather and other delays, this schedule is bound to change. Keep up to date with the latest changes here at motorcyclenews.com, or join us on twitter @MCNSport.